Chumphon is a province in the Northern part of Southern Thailand and it is also the name of one of the two cities in this province. The other city is called Lang Suan, and Lang Suan also happens to be the name of the river flowing through this province. 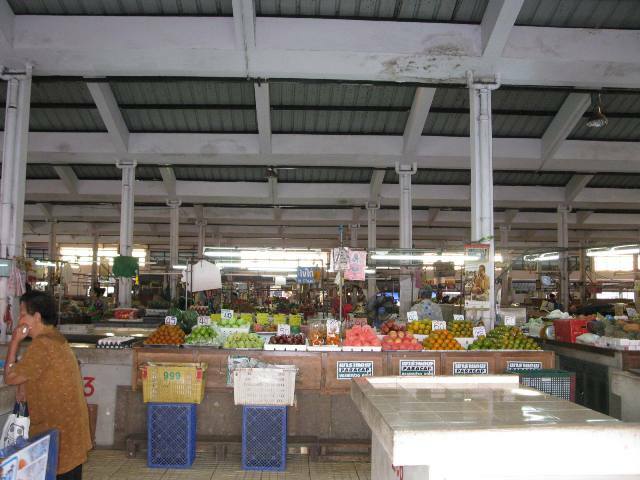 The province is known for it's agricultural products like fresh fruit, coffee beans, seafood and cashew nuts. If you are heading South by car you will definitely pass Chumphon if you take the most logical route. Road number 4 is the road heading towards the Southern provinces and it will lead you through the outskirts of the city. Because Chumphon is located at roughly 450 kilometers from Bangkok it might be a good choice to stay for a night if you don't like to drive in one day to Krabi or Phuket. We decided to stay one night in Chumphon while heading for Krabi. We booked at Novotel Chumphon. Two remarks about this beach resort hotel. It is located way outside of Chumphon and it's not located at the beach. You have to cross a road in order to reach the beach which is really not special at all. Novotel Chumphon offers a golf course and that's probably also the only real advantage of this resort. 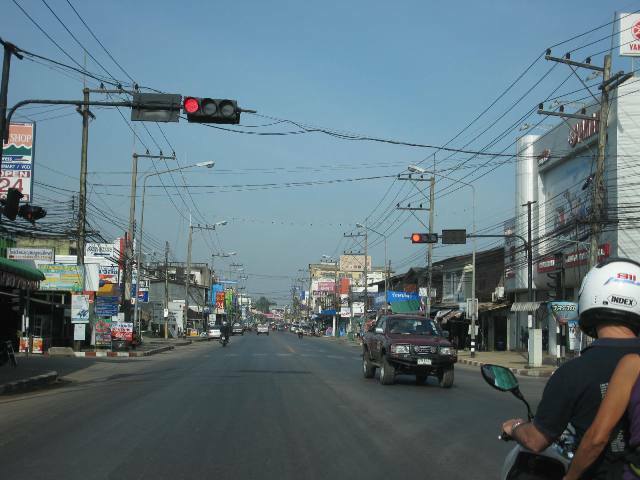 If you want to stay in Chumphon we advise you to book something located more in the city center. 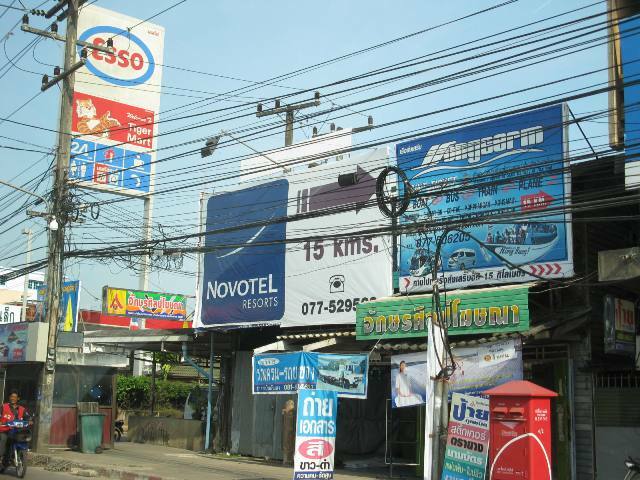 There are enough hotels in Chumphon, don't expect the luxury you get in Bangkok. It's all a little bit modest. The city itself gave us the same impression. It's quiet and not focused on tourism. Compared to other tourist destinations in Thailand this is nice for a change. In the evening we walked around in the city and you can feel that relaxed atmosphere. People behave more relaxed in the traffic and on the street. There is also an evening market, not far away from the Farang bar Chumphon where we had our diner. You can read our restaurant review about the Farang bar here. Unfortunately it's not a good one. The next morning we went back to take some pictures before driving to Krabi. I don't know if we will stop again in Chumphon because driving back from Krabi to Bangkok only took us 9 hours. On the other side I would recommend Chumphon to backpackers if they are not looking for beaches or other touristic things like Elephant rides or rafting. 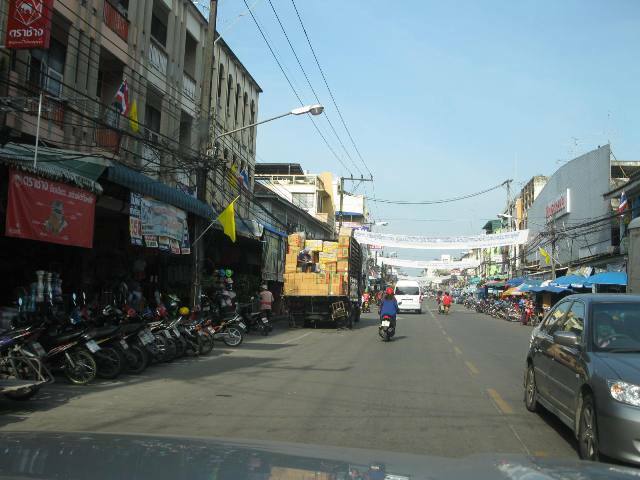 Go to a city like this to experience the normal Thai way of living. And that's not all about exciting adventures, it's about sipping a cool beverage at a local restaurant while observing daily live. And if you are fed up with that, just go to the Mu Ko Chumphon national park to enjoy nature. Feel free to send us more useful links.